I am a blogger. I run this blog and nearly a half dozen other. It is a passion for me. As a blogger I receive all sorts of emails, phone calls and the occasional mail package from brands and agencies. I am also a digital marketer. I often try to work with bloggers, looking to connect them with brands. It is a fun job but not always easy. A good digital strategy these days should, in part, consider bloggers who would like to get involved and hear about what the brand is doing. This makes sense; fashion bloggers care about the latest fashion, travel bloggers care about the latest experiences and so forth. In fact, just as an affiliate might well feel annoyed when their brand partner engages in a piece of activity and fails to tell them, I would argue so could a blogger feel annoyed if they missed out on early about a piece of brand news. In reality, though, it doesn’t always work like that. There’s a problem with bloggers. 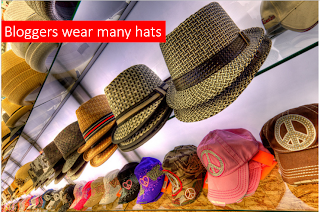 It is a problem that agencies have created; marketing agencies, ad agencies and public relations agencies. Most bloggers need to do multiple jobs to succeed. They need to be editors and writers. Bloggers who want to recoup hosting costs or even push ahead and earn a living through their media property also have to be business people; arranging ad deals, working out promotions and managing a brand. No wonder blogger events and advice swapping are popular activities. A refrain from many blogger conferences is “Do nothing for free”. That is common, popular and often heard advice from one successful blogger to another. It is a problem. Without the right context this is bad advice. Terrible advice. Imagine a blog in which the last dozen posts were not done for free. Unless the blogger is breaking the law in the UK (or US; or many other countries) each of those posts would need to be disclaimed as sponsored or advertorial. I don’t mean tagging it with “ad” or having the post placed in the “sponsored” category; I mean the clear disclosure the Office of Fair Trading requires. A blog with 10 sponsored posts in a row is not a blog that looks attractive to brands. If a blogger was to this then they’d harm their blog. If a blogger fails to disclose their financial relationship with their sponsors then they’re a blogger brands, quite rightly, need to steer clear of. Simply put; a blogger must do things for free. They must work on their own content and brand. They must grow their audience. As this happens the money they’ll be able to charge in advertising, advertorials and associations will increase. The free work is the money multiplier. Hopefully, too, the free work is what the blogger really wants to do. This juggling between paid work and free work isn’t the big problem bloggers face that inspired me to write this post though. There’s another, related and serious problem. The relationship between bloggers and agencies is messed up. It is messed up because of this conflict between free and paid. The agencies must take the blame for creating the problem, for not knowing what basic ASA or OFT rules are and for not helping bloggers understand the difference between an editorial, an advertorial and an ad. The latter two, of course, are pretty much the same thing. We might call an advertorial a native ad. Let’s try and clear things up. Bloggers make editorial decisions on what content will interest them and their audience. Some bloggers will listen to editorial pitches; some bloggers will not. A press release is an editorial pitch. It is not an a RFI for a native advertising deal. The best editorial pitches are not sent as press releases. No agency should try and trick or encourage a blogger to break the law or accepted marketing rules. Corporate messaging is rarely suitable for editorial pitches. Google also has rules and both parties should know them. A few hundred visitors from a blog to a brand site is usually worth very little. There are bloggers who make their living from blogging and should be treated like respected professionals. This list is far from exhaustive. It is just the tip of the iceberg of issues that sometimes create confusion between bloggers, in-house teams and agencies. The way forward is to be mindful of a publishing strategy. Brands should consider their online activities to be, in essence, part of a publishing strategy. 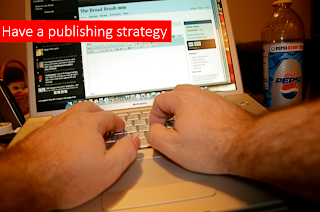 Part of a brand’s publishing strategy should be working with other publishers. Local press, trade press, national press, communities, curators and bloggers of all shapes and sizes are also publishers. A brand with a publishing strategy is one that is thinking correctly about what might interest other publishers. This is the best way to ensure engagement with bloggers. Bloggers with a publishing strategy are bloggers who understand the difference between being pitched an editorial idea and being offered an ad deal. This is the best way to ensure engagement with brands. Photo credits: Shawn Clover and Todd Jordan.